Was there ever a clearer indication that our prime minister is as corrupt as they come? Theresa May has announced she is cancelling next year’s Queen’s Speech in order to give herself two more years in office – when the result of the general election clearly shows that a majority of the public don’t want her in Downing Street for one more minute! Tories are outwardly saying they had planned this all along, in order to provide plenty of time for debates on Brexit – although we have no evidence to suggest this isn’t a lie. 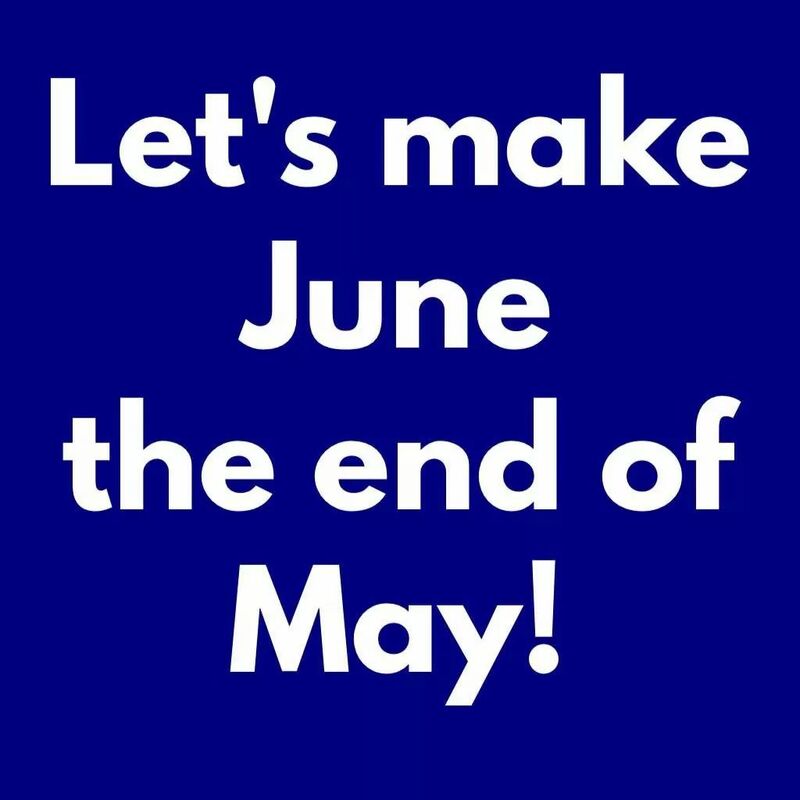 Not only is Mrs May cancelling next year’s Queen’s Speech, she is stripping this year’s legislative programme of many key planks of her Conservative manifesto – the unpopular policies on which she campaigned in this year’s general election. 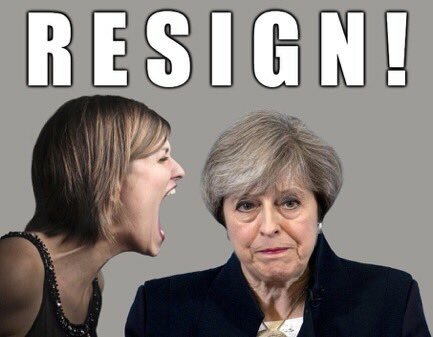 That might seem a welcome move, but it makes a liar of her, and shows she will betray her own principles if it means she can stay in power. It’s as This Writer said in a previous article – Tories are motivated by greed, except when the result of their greed is a loss of power. Then the two-faced hypocrites will pretend to be the people’s friends for all they’re worth – until they get another Parliamentary majority and are free to do whatever they like and damn your opinion. Top constitutionalist David Rogers said: “It’s Mrs May’s way of clinging to power. David Cameron was the last PM to cancel a Queen’s Speech so Parliament could remain in session for two years… But he had two years worth of legislation to put through. Mrs May now has barely enough to last a few a months. But what about Brexit? If it is as complicated as we’ve all been hearing, won’t Mrs May need the time to sort out all the details? Probably not. It’s more likely she needs the time to sort out how she, personally, can stay in Downing Street. Senior business figures have heaped further pressure on Theresa May to change course for a softer Brexit in the wake of the election, amid fresh warnings of the impact of immigration controls and leaving the single market. Business groups are pressing Downing Street for a change in tone, as well as a formal role in the Brexit process. They also want an end to May’s repeated mantra that “no deal is better than a bad deal”. British businesses have sounded the alarm over damaging labour shortages after Brexit, with thousands warning that they will be hurt by even a modest move away from the EU’s free movement rules. But the mood in the party is that Eurosceptic MPs will launch a leadership challenge – possibly within 10 days – if Mrs May doesn’t stick to the ‘hard’ Brexit that she – a former Remain supporter, remember, and therefore wallowing in hypocrisy again – has promised. Leading Eurosceptic MPs have told The Telegraph they are prepared to mount an immediate leadership challenge if Mrs May deviates from her original plan. Conservative MPs – including Cabinet ministers – have concluded that Mrs May cannot lead them into the next election and they are now discussing when she could go. Eurosceptic MPs have warned that any attempt to keep Britain in the customs union and single market or any leeway for the European Court of Justice to retain an oversight function will trigger an “overnight” coup. She has her supporters too – but they seem to be doing more harm than good. Rachel Johnson – sister of Boris – turned up on LBC to defend Mrs May, by claiming she was a victim of the Grenfell Tower fire as well. In fact, as far as Tory support for Mrs May goes, it seems the best that can be said is that her supporters are campaigning in the same way all Tories did during the election – by negatively claiming her policies are better than having a “Marxist” Labour government. Of course, Labour isn’t Marxist, so they’re campaigning on a lie (in the same way all Tories did during the election). Put this together with the rage Mrs May kindled in the country when she responded to the Grenfell Tower tragedy with indifference – can anybody forget this footage of her running for the safety of a ministerial car rather than facing the public? If she manages to stay in office long enough for this year’s Queen’s Speech, it will only be due to corrupt manipulation of the system (in This Writer’s opinion). For the good of the United Kingdom, Theresa May must go. Well the Tories got 42% of the overall vote, with a higher turnout than the 2105 election and increased the actual number of votes, Labour got 40% of the votes so they don’t have a mandate either if you consider the other 18% of the votes. The Queens speech is only the government presenting what it hopes to achieve in the coming parliament, and there is no legislative requirement to hold one every year, indeed the con/lib dem coalition did not produce one in 2011 the 2010 one having had so much content. As for attempting to say that she treated the Grenfell tower incident with indifference, this is ridiculous, and has no grounds whatsoever, personally I would be asking why the local councillors are so indifferent, and asking what they did instead of expecting he PM to take all the blame. I’m no tory, or May supporter, but we have enough biased and fake news on the tele without adding to it on social media. The Queen’s Speech – and the vote thereon – is a confidence vote for the government of the day. There wasn’t one in 2011 because, as you say, the previous year’s had been chock-full of nonsense. But Wednesday’s won’t have enough legislative material to fill a single year, and Theresa May wants it to last for two. That is not good government – it is an attempt to squat in Downing Street for two years when Mrs May knows she should be out now. And yes, she did treat Grenfell Tower with indifference. Everything she has done with respect to that disaster has happened because she was pushed into it. No, I don’t expect her to take all the blame, but her lack of interest in the lives of UK citizens is an insult. As you know she hates me, you, the poor, the disabled, the non working, the working & people on benefits..
Everything Cameron and May have done has been tainted by corruption and fraud. That includes the farce of a fraudulent referendum. The Tories are reaping what they sow. Whoever the premiership lands with has one almighty task. One has to ask, are they organizing a bail out, so Corbyn has to clear their mess up, nothing would surprise me from these toerags. Agree with the thoughts. At this point in time picking up the Brexit poison chalice would not be politically good for Labour. Labour has got many good domestic ideas to bring forth and deliver but that Brexit poison pill worries me also. Honestly, it is my belief that Call-Me-Dave was merely incompetent. Why else would he call a referendum, bring the date forward twice, while offering the electorate no useful information, have absolutely no plan and then abdicate office, thus responsibility, when the result was not what he expected? This is gross negligence and in my opinion, he should be in prison, for treason! Theresa May mayn’t be the sharpest tool in the box but the responsibility for this mess lies fairly and squarely at Call-Me-Dave’s door yet, he seems to have managed to escaped scrutiny, responsibility and culpability! It is as though none of this has anything to do with him! I guess it was just the classic rodent leaving the fast sinking ship seeing it was that twerps anti UKIP referendum that bought it all about. Not in his wildest dreams did he imagine the plebs would revolt and that all his media pals and their lies would not clinch the deal easily for the Cons. When the proverbial hit the fan he knew then he was in deep brown stuff as there were no plan b for exit plans as it was never meant to happen. Exit stage left despite lie that he would see it through to the end…..that’s why they are Cons.
. Mr Aneurin Bevan, Minister of Health, at a Labour rally in Manchester yesterday. … “So far as I am concerned they are lower than vermin,” he went on. … Mr. Churchill preferred a free-for-all, but what was Toryism except organised Spivvery? Tories it has always been said serve their paymasters, and with every tragedy gives an opportunity, whilst we are all focusing on one aspect of their complete and utter negligence, they are busy selling off every bit of the NHS, as well as the rest of our state and yet not a murmur from the mass media. If Labour had presided over any one of these issues they would have been drummed out of office by now. This is the language of the Tories and we are all believing it and repeating it! The Tories are NOT in power; they are in government (if one can call it that) and only by consent. The sooner that people begin to realise that, the sooner we might have a government that serves its people instead its ministers. These people are not there to rule. The Tories, in fact no government is there to do what the **** it pleases! The idea that we have to put up with [M.P.s’] **** until the time arises when we have the opportunity to get rid of them is utterly ludicrous, nonsensical and risible and makes us look… no, it makes us fools!